Improving the way that you communicate with your customers will have both short-term and long-term impact on your business. Driving customer loyalty requires an intense focus on building relationships. It’s important to have ongoing engagement with customers so they feel that they’re an extension of the brand family or part of a larger community based on your brand. The first step in getting customers to engage with you is to give them the place to do it. Creating a broader digital community that focuses on your product, brand, or industry is a great way to improve brand awareness and build a platform where customers can interact with your company and with each other. The most effective brand platforms let your customers help create content, answer questions, and advocate for your product. A great example of a valuable brand community is Sephora’s Beauty Insider community, which boasts nearly 1.5 million members. The Beauty Insider site is effective because it’s designed like a social media platform, letting users ‘like’ and comment on Instagram-style posts. The platform draws users by rallying them around a common interest--beauty and makeup--and posting makeup tutorials and other helpful content relevant to the brand. By providing a sharing and discussion forum that goes beyond blog post comments and product reviews, your company can generate a community of users united around a common interest and build a loyal customer base. Most companies don’t use the data that they have on hand to its fullest potential. While many companies use customer data to build ads targeted to specific customer types, they can also take advantage of data even further. In addition to targeting the right ads to the right customers, companies should use data to target the right ads to the rights customers at the right time. Canadian public transportation company Société de Transport de Montréal is a particularly good illustration of the way customer data analysis can produce well-timed, targeted ads. Analyzing data about customer interests and location, the company gives bus riders different recommendations based on what is most relevant to them. If a rider gets off at a new stop, for instance, the Société de Transport de Montréal recommends restaurants in the area that might interest them. Finding innovative ways to use your data to provide appropriately timed recommendations is a great way to interact with customers at the precise moments they’d find your services the most useful. If you're looking for ways to engage with customers in real-time, your first thought is probably social media. It’s the single largest engagement tool that any business has in their arsenal today, and it’s the best line of communication with customers and prospects. Still, too many companies use social media as nothing more than a platform for sharing and posting rather than as a tool for active engagement. If you want to make real connections with customers, you have to roll up your sleeves and interact. ‘Liking’ and responding to customer comments on your social media feed, as well as highlighting insightful customer comments in your posts, are effective strategies for making your customers feel listened to, appreciated, and understood by your brand. No customer likes to call for a support question, only to be put on hold for half an hour. Points of friction in design and sales processes drive down conversions and revenue and, with dwindling attention spans, it’s particularly important that your company address customer problems the instant they arise. A live chat option is the best way you can answer customer questions immediately. Your site shouldn’t require customers to log in and submit a support ticket. Instead, it should provide a live chat option that pops up in the corner of your home page as soon as customers navigate to your site. And live chat shouldn’t be limited to your website; it should also be a part of your social media strategy. More companies are starting to use Facebook Messenger automation to grow their reach and interact with customers on the platforms they already use. Communicating through private social media messages is quicker and more accessible for customers, and it also builds more personal connections between customers and your brand. Hosting events is an effective way to connect with your customers in-person and broaden your brand community. A great example of branded events comes from Mogo, which held financial responsibility seminars called Adulting 101 in popular pubs and restaurants. Mogo’s seminars were so well received that they did tours across Canada. Eventually, the company opened a lounge space in Toronto to hold these seminars and to organize get-togethers on an ongoing basis. In-person events provide opportunities for company representatives to interact with customers on a personal level, helping customers feel more emotionally connected with your brand. On top of that, such events let you build a community of customers interested in your industry while establishing your company as a knowledgeable voice in the field. There is nothing more annoying for a customer than their interactions with a company disappearing into thin air. We’ve all been there. You call a support line, speak with someone for thirty minutes, and still don’t get your problem solved. 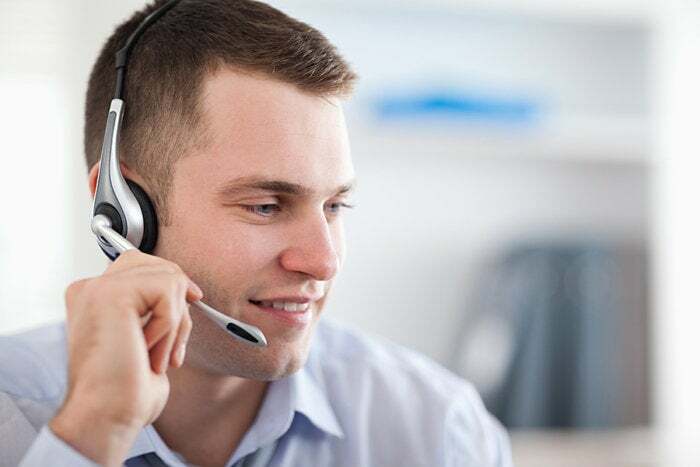 The next day, you have to start back at square one with a brand-new support agent because no information is shared between reps.
It’s aggravating, and the same can be said for gaps in communication across different channels. A customer that communicates initially through email and then later through social media wants to have the context from the first conversation apply to the second. To help your customer communication strategy run smoothly, it’s important that you couple regular inter-employee communication with marketing platforms that are emotionally intelligent and that can account for cross-channel communications. Optimove’s platform, for example, lets companies use real-time hypertargeting that takes into account customer actions across all channels. By ensuring that employees are always up-to-date with relevant customer activities, the platform helps you address customer concerns right away and lets you communicate with customers on a personal level. Improving the way that you communicate with your customers will have both short-term and long-term impact on your business. In the short term, you’ll close more sales by being more available to your customers. In the long-term, building a reputation for being accessible, communicative, and understanding will build customers’ trust in your brand position your company for success.